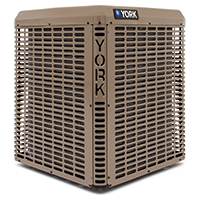 If you’re looking for a Crestwood, KY, HVAC contractor to install a heating system or conduct high-quality repairs on your air conditioning unit, you’ve come to the right place. Our team of experienced pros at Seward Heating and Cooling Systems Inc can handle the job for you. We’re a local family company based in Crestwood, KY, and we have been dedicated to providing 100% guaranteed work since 1957. That commitment to excellent service is something that every one of our clients can count on. And it’s something we’ve prided ourselves upon. We’ve built a solid reputation throughout the greater Crestwood area by employing dependable staff to do quality work using durable materials that will last. And with our industry knowledge, we know how to do work that will fit within your budget without cutting corners. We offer easy appointment scheduling during our convenient office hours. And all of our crews are fully licensed and insured. So you can rely on us to do an honest and verifiable job for you. Seward Heating and Cooling Systems Inc is here for you whenever you need a Crestwood, KY, HVAC contractor for your home or business. We’ll respond to you quickly to give an accurate estimate and then provide you with a quick turnaround time to finish your project, regardless of its size. So whether you’re trying to keep cool or get out of the heat, our pros in Crestwood, KY, can do your installation or complete any necessary. Just contact our office today to schedule an appointment.